It’s Amazon Prime Day — a Black Friday that Amazon gets to have all for its very own self, using it as a way to get people on the Amazon Prime hook for TV and film streaming too. Consider us hooked. 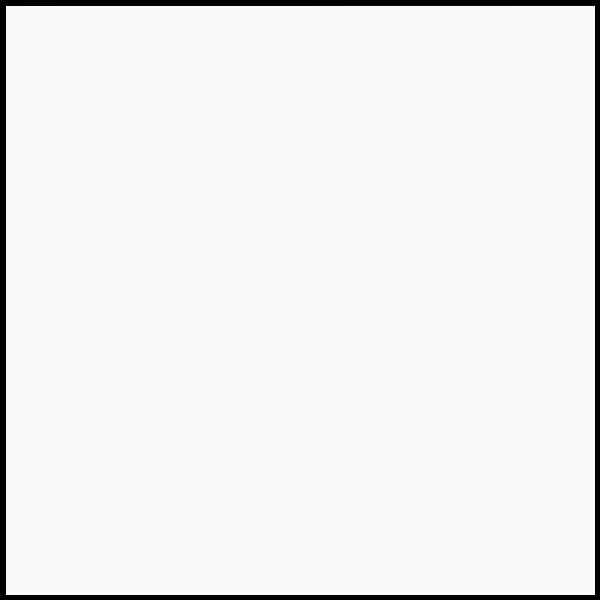 The UK Amazon Prime signup is here, the US Amazon Prime signup is here, the Canadian Amazon Prime signup is here. 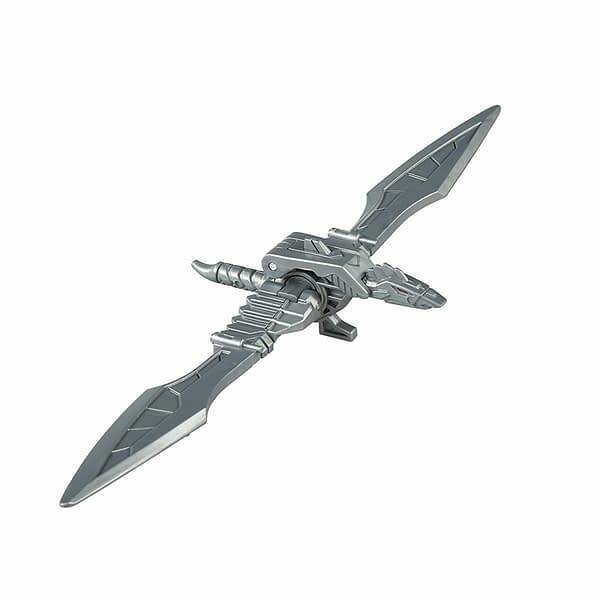 There are also exclusive Amazon Prime launches. 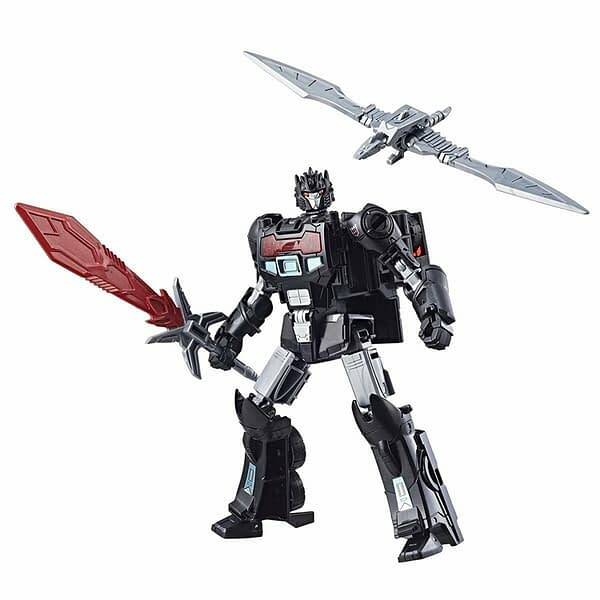 EDITION TRANSFORMERS ACTION FIGURE – Celebrate Amazon with this Amazon exclusive Transformers figure: Nemesis Prime, the evil clone of heroic Autobot leader Optimus Prime. 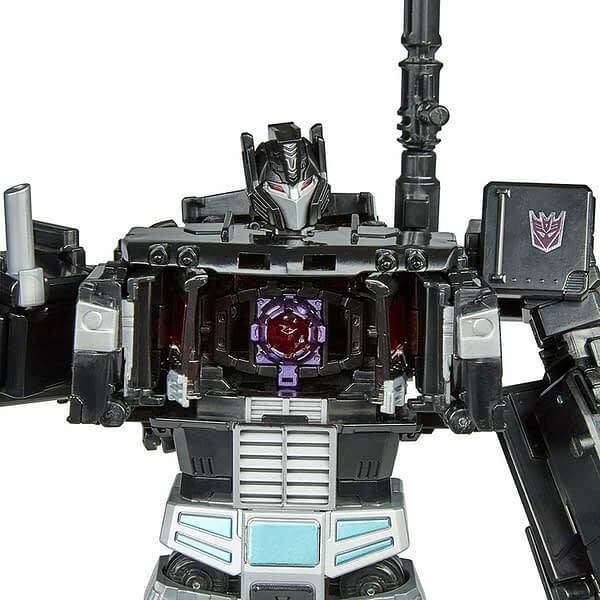 4-IN-1 CONVERTING FIGURE – Evolves from a 5.5-inch scale Nemesis Pax figure to a 9-inch scale Nemesis Prime figure. 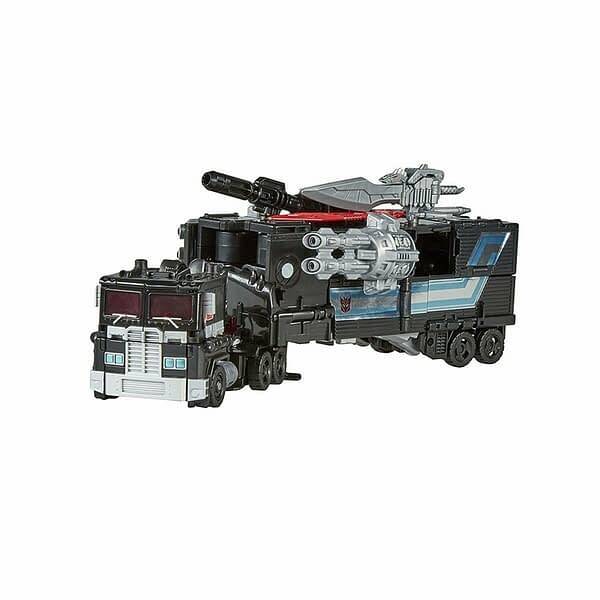 Both figures also convert to a vehicle mode (a tractor-trailer for the Nemesis Prime figure and a semi-truck for the Nemesis Pax figure). 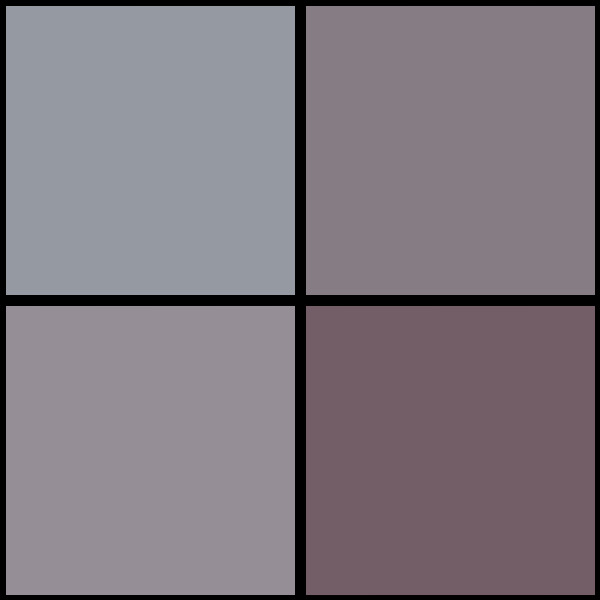 It’s like getting 4 toys in 1. Can you master the advanced robot to vehicle conversion? 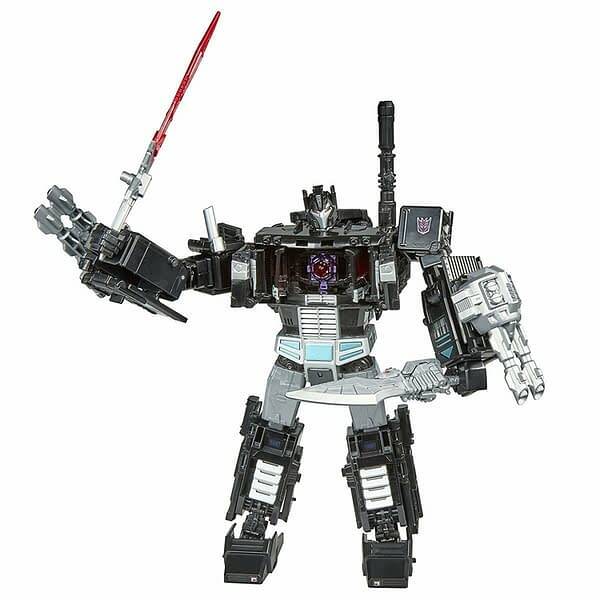 INCLUDES EXCLUSIVE SPECIAL EDITION ACCESSORIES – Comes with a Decepticon Giza figure and 2 accessories: an evil Matrix of Leadership and a Dark Saber sword accessory. 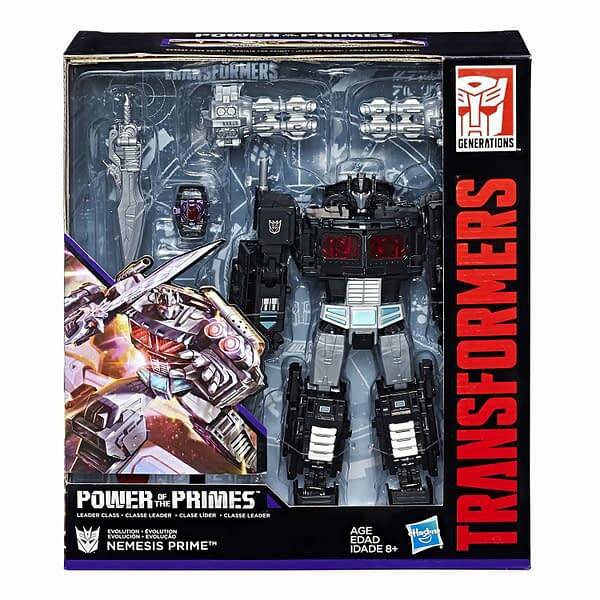 PART OF TRANSFORMERS POWER OF THE PRIMES – This is the first time Nemesis Prime, the evil version of Optimus Prime, has been introduced to the Prime Wars Trilogy story and toy line; great figure for Transformers fans, Transformers Generations Power of the Primes fans, and action figure fans. 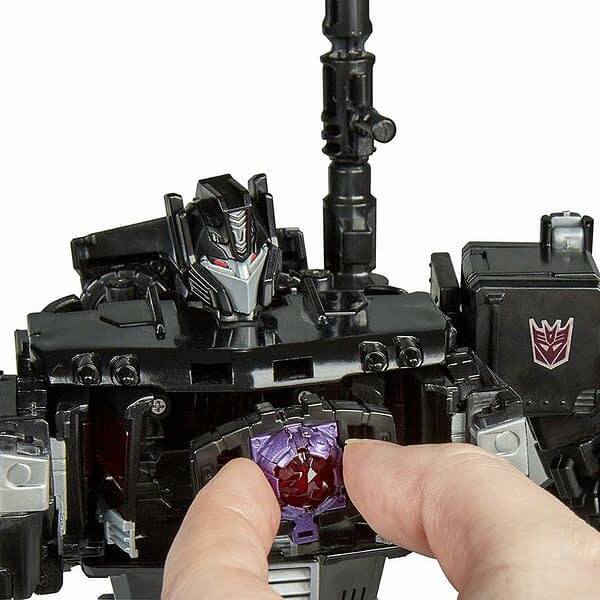 Add it to a Transformers collection as a dark foil to a Transformers Generations Power of the Primes Optimus Prime figure. 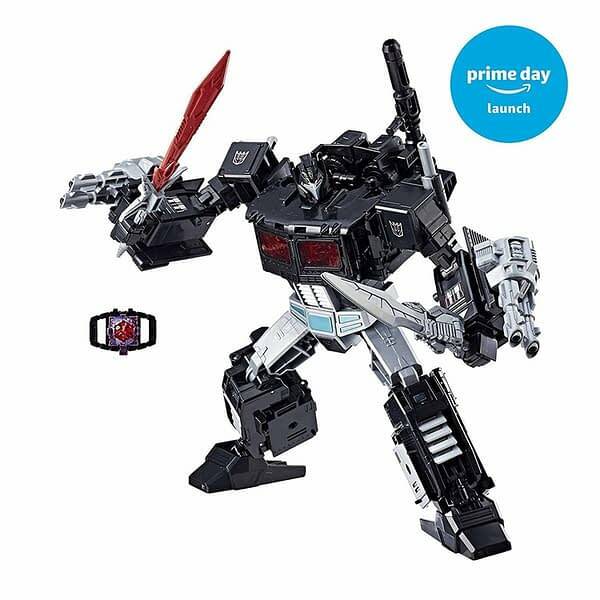 THE PERFECT AMAZON – When you’re looking for one of the best, the awesomest, or toys, can it get any better than a character who is actually named “Prime?” That should automatically move Nemesis Prime to the top of any Best of 2018 list.